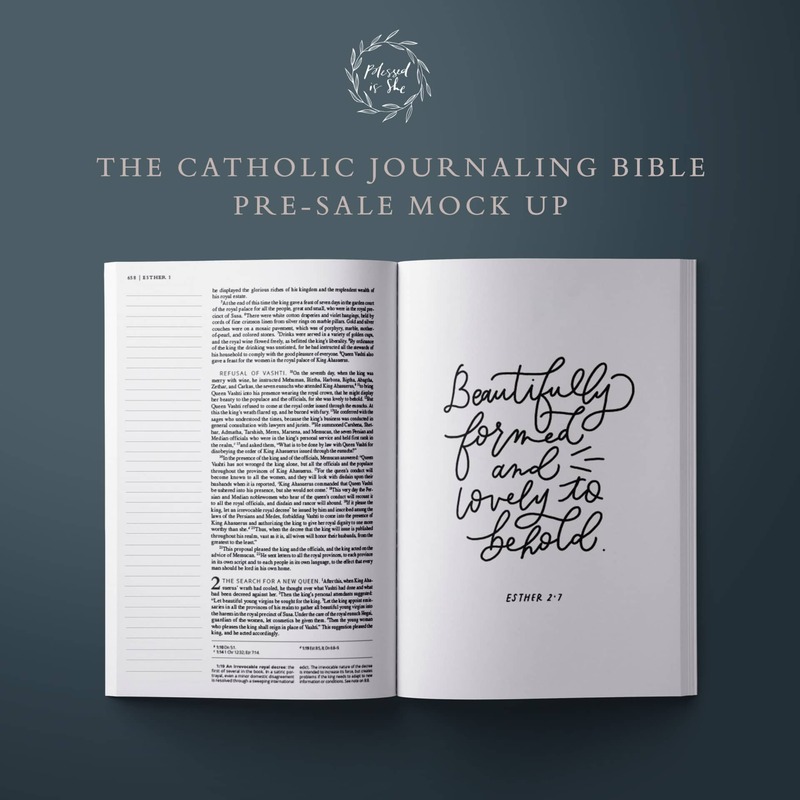 For years women have asked us for a Catholic Journaling Bible. Years. There were Protestant journaling Bibles available, but a Catholic one? With all of our rich and beautiful books in one great big Book? It didn’t exist. The Lord called this into being. We prayed. Doors opened. And we had the privilege of creating something new, on the firm foundation that is Christ. So here it is, sweet sisters. 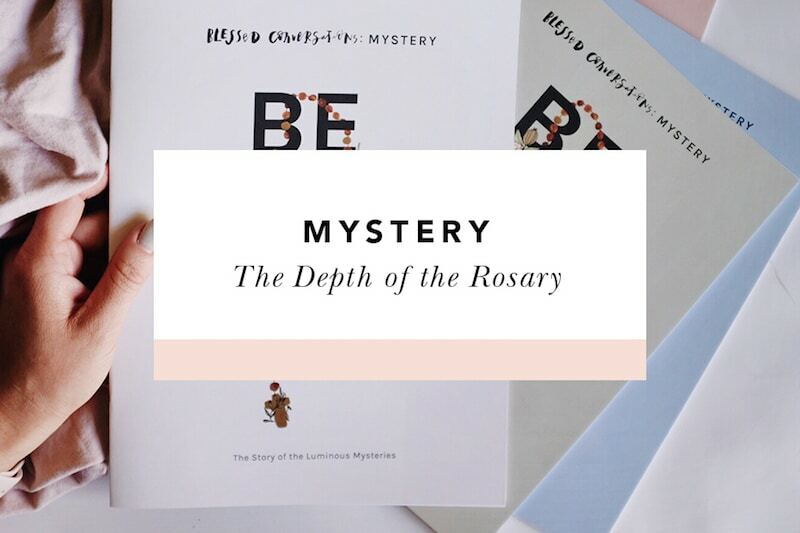 You asked us to make a Catholic Journaling Bible, and so we did. 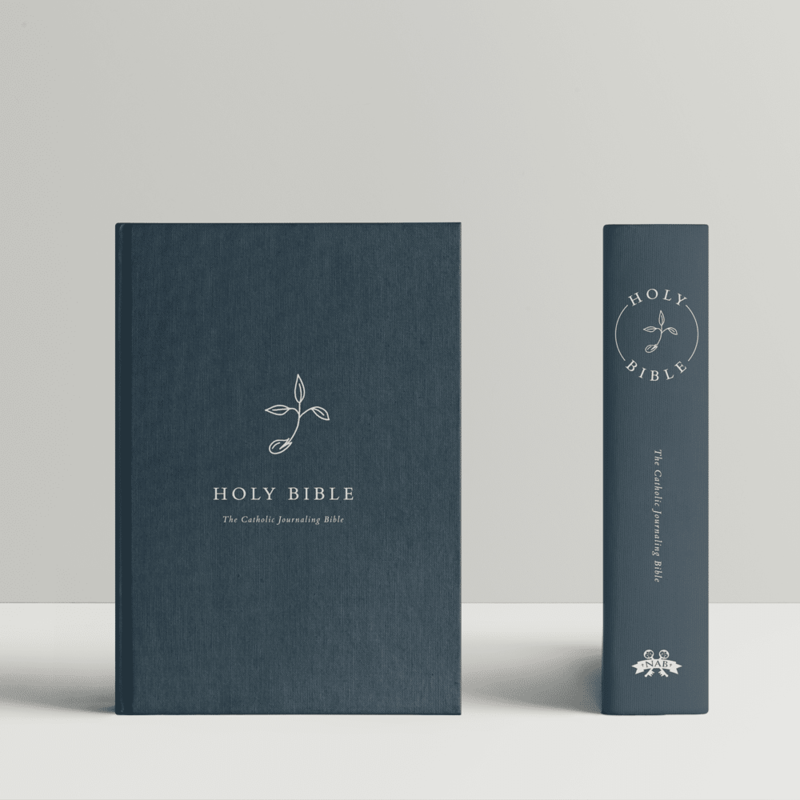 With the great honor of working with Our Sunday Visitor as the publisher, we got to design the very first NABRE Journaling Bible. It is available for pre-order here, and once we receive the Bible from OSV, we will ship it to you. We anticipate receiving the Bibles around the beginning/middle of January. 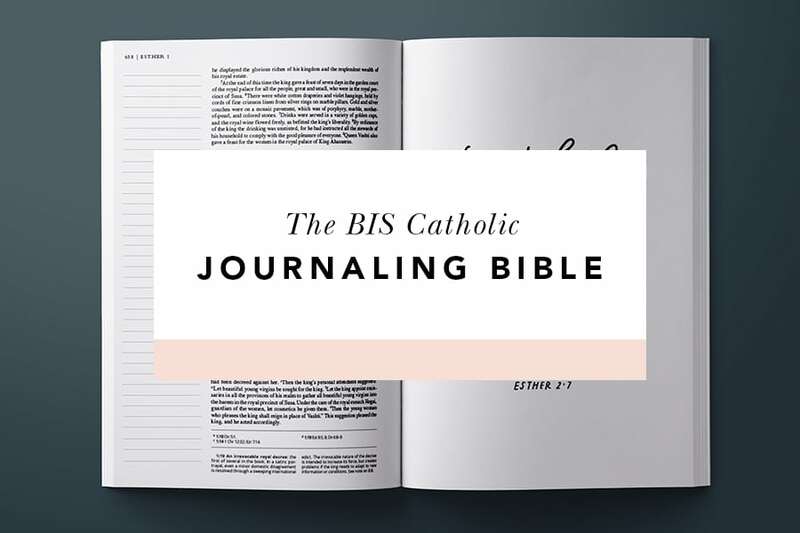 So what is a Catholic Journaling Bible? What makes it different? What makes it fruitful in our spiritual life? 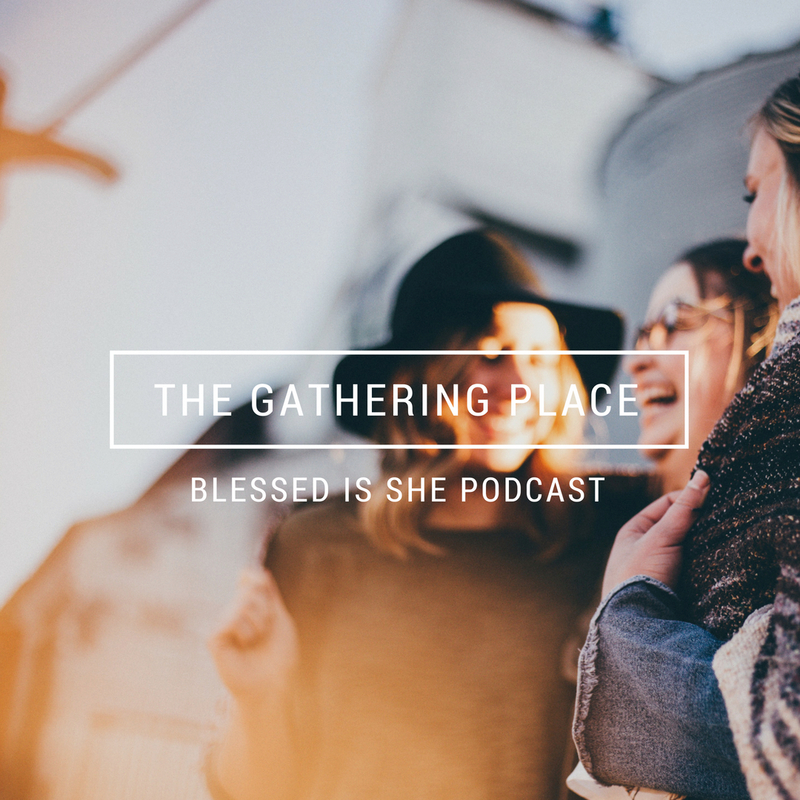 We sat down with Beth Davis, the Director of Ministry Advancement for Blessed is She, to sneak a peek behind the curtain of its creation. Wow! A journaling Bible! What does that even mean? My Bible is filled with notes and highlighting and Scriptures for cross reference. It’s beautiful, but it’s a mess! 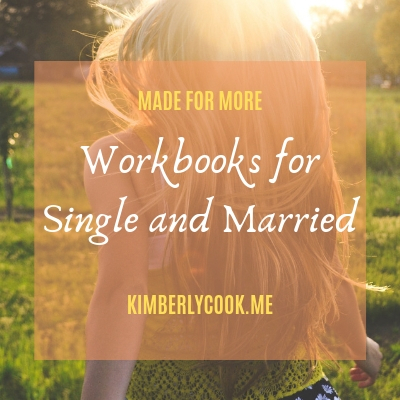 I know other ladies who don’t like to write in their Bibles because there isn’t a lot of room in the margins, and our notes can distract from or cover up the words of Scripture. 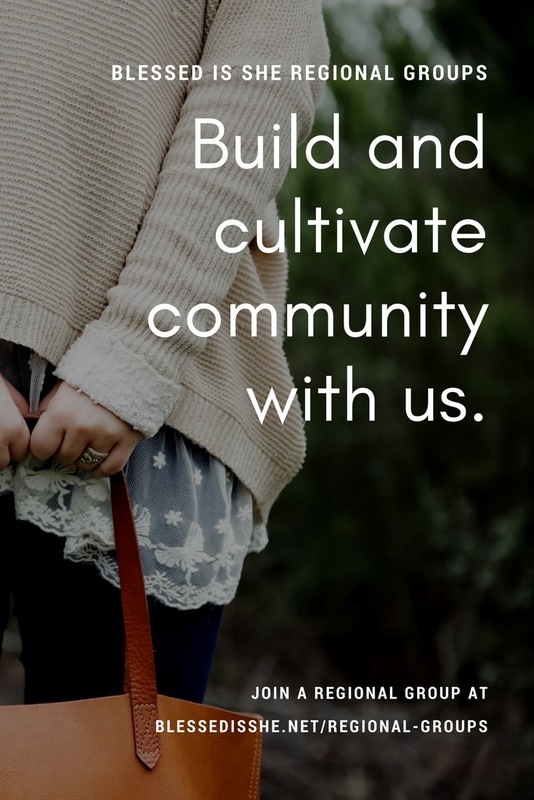 But with a journaling Bible, there is space to ask questions, make notes to remind yourself of inspirations from the Lord, write prayers, or even journal what you’re learning or living this season. 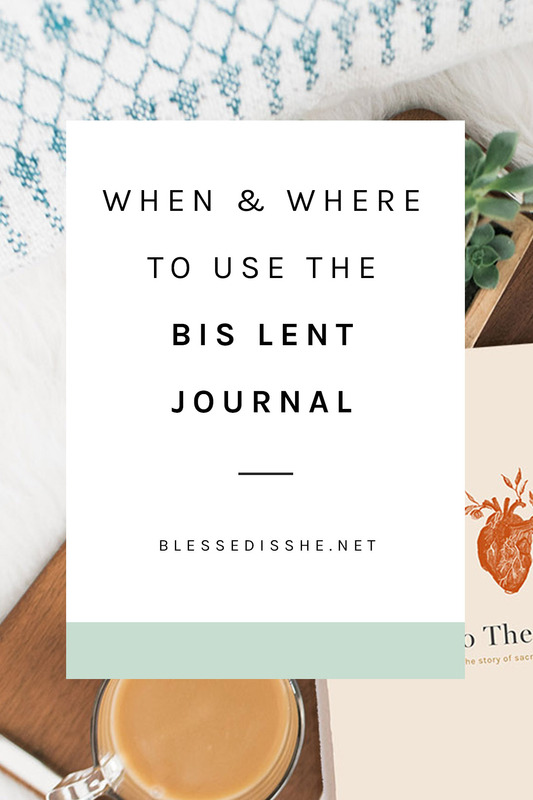 How should the Catholic Journaling Bible be used? 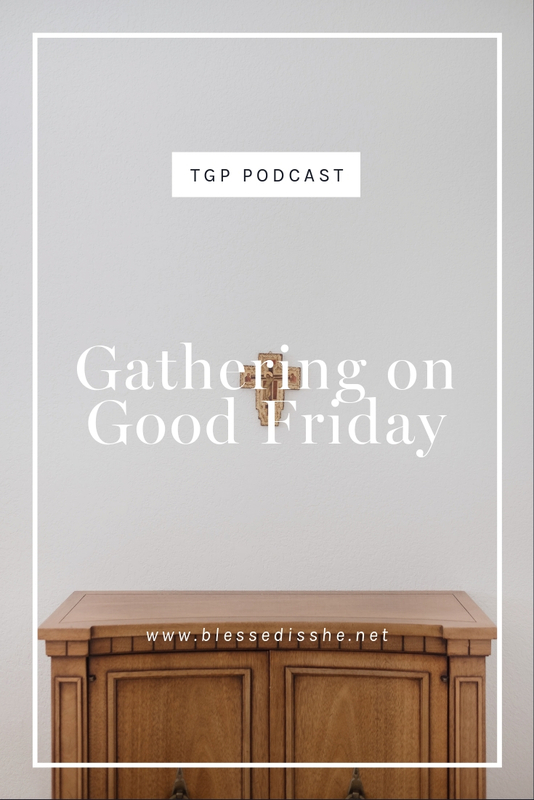 How can this deepen my relationship with the Lord? There are no rules for a journaling Bible! You can create or study or draw or share your heart with the Lord in the margins. You can use pencil or pen or markers or paint. You are entering into a conversation with the Lord through His Word. 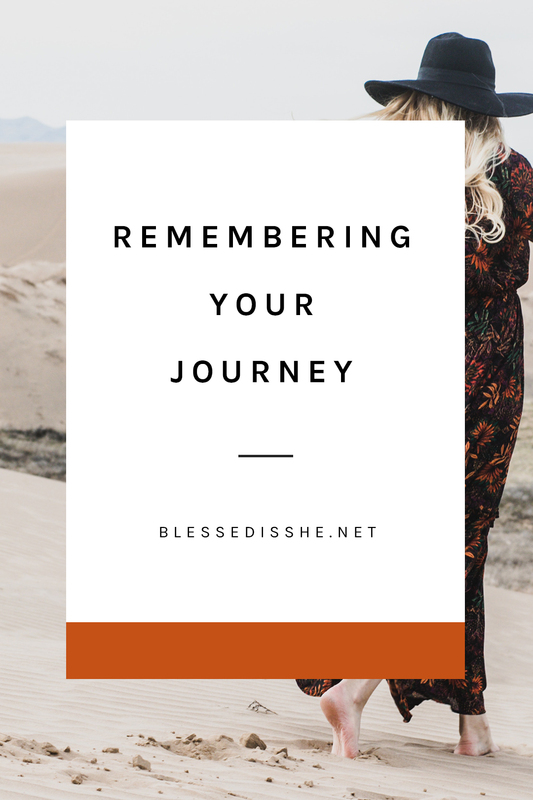 This gives you room to connect with God according to the personality and mind He gave you. This is the first Catholic Journaling Bible. What makes it different from a Protestant Journaling Bible? Catholic and Protestant Bibles both include 27 books in the New Testament. Protestant Bibles have only 39 books in the Old Testament, however, while Catholic Bibles have 46. The seven books included in Catholic Bibles are Tobit, Judith, 1 and 2 Maccabees, Wisdom, Sirach, and Baruch. Catholic Bibles also include sections in the Books of Esther and Daniel which are not found in Protestant Bibles. These books are called the deuterocanonical books. The Catholic Church believes these books to be inspired by the Holy Spirit. Does this Bible have the imprimatur? IMPRIMATUR: ✠ James A. Hickey, S.T.D., J.C.D. What translation is used in this journaling Bible? 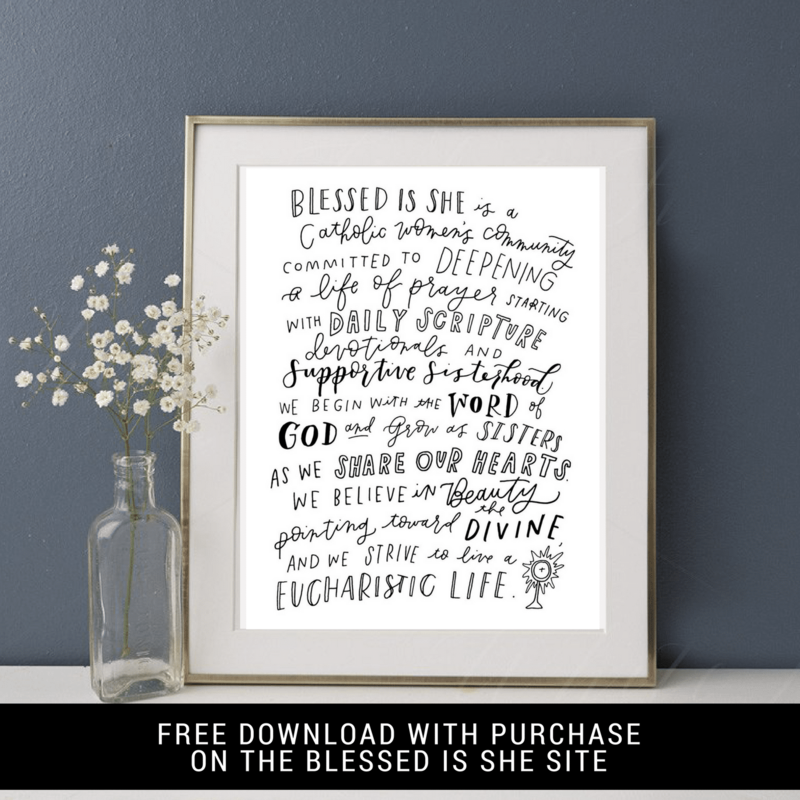 The Catholic Journaling Bible is published by OSV and designed and laid out by Blessed is She. The NABRE is the translation Our Sunday Visitor has license to, so that’s the one used in this Bible. How is the journaling Bible set up? What are the dimensions of the Bible? The Bible has a sturdy linen cover. Each page of text has nearly 2″ margins, and has one column of text on each page as opposed to two. The dimensions are 6.25″ x 9″. The regular footnotes and endnotes are still included for your reference and deeper understanding of the text. What’s the significance of the seed on the cover? This is the inspiration verse for the Catholic Journaling Bible. With each section of the Bible the illustration grows – from a seed in the Historical Books sprouting into a tree by Revelation. How much hand-lettering is present in the Bible? One verse for each book of the Bible is hand-lettered. How did you choose the verses from each book? Was there a theme? 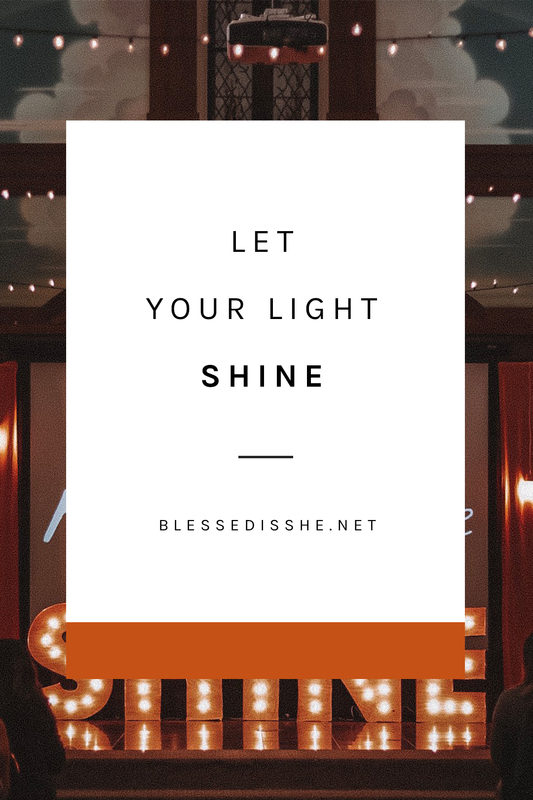 But most of the verses were chosen simply because of their profound beauty and truth in order to encourage and affirm women as they spend time in the Word. What fruit do you hope this Bible bears in the lives of women? I hope our Catholic Journaling Bible becomes a place of encounter for God our Father and His precious daughters. I pray that spending time in the Word wouldn’t feel like an obligation, but a joy. 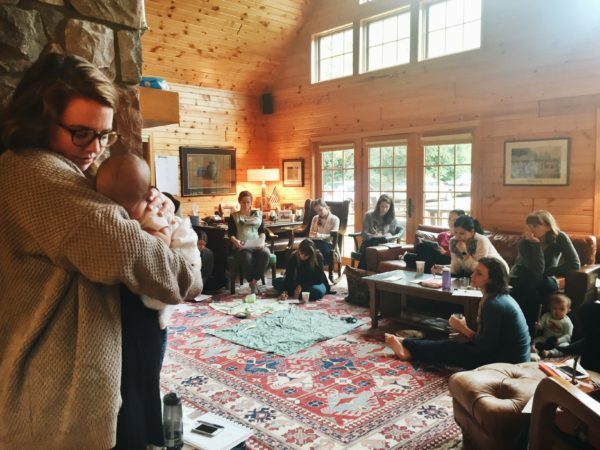 That the Word becomes a safe refuge, a creative outlet, and a two-way conversation. That women would discover who God is in its pages and look forward to their time with Him there. What was your favorite part of working on this Bible? I was able to choose a verse for every book of the Bible that would then be hand-lettered by Erica. It was such a gift to me! While Erica and Jenna slaved away on design and layout and the business part of it all, I got to spend time in my own marked up Bible, revisiting stories and verses that had been meaningful to me throughout the years. God’s Word truly is a love letter to us – reading and rereading God’s promises to us throughout Scripture was a truly grace-filled time. 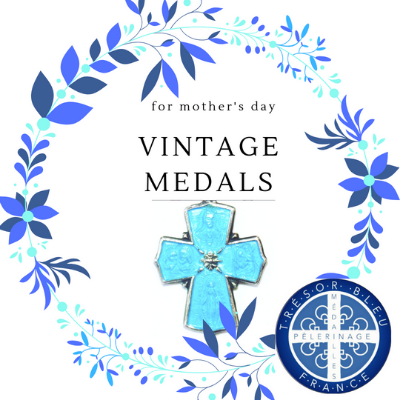 You can order on our website by clicking here! 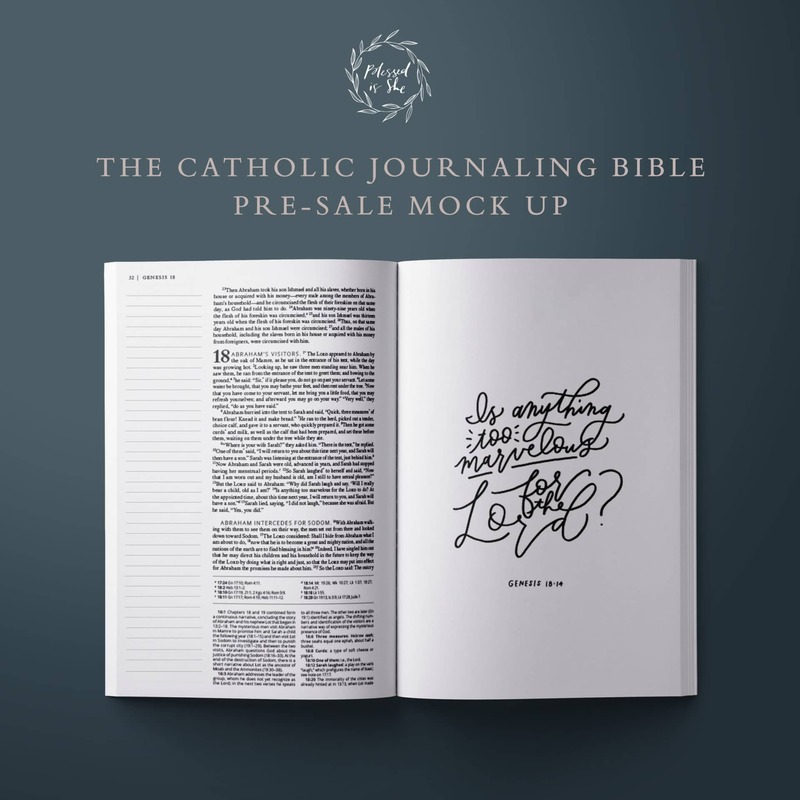 Have you ordered your Catholic Journaling Bible yet?! Get yours here. Is this Bible the same translation of the NAB used in Mass? Yeah! About time…thanks for working on getting one published. Is there a way to get one without lines on the sides/just open margins? The lines are quite faint, just so you know! 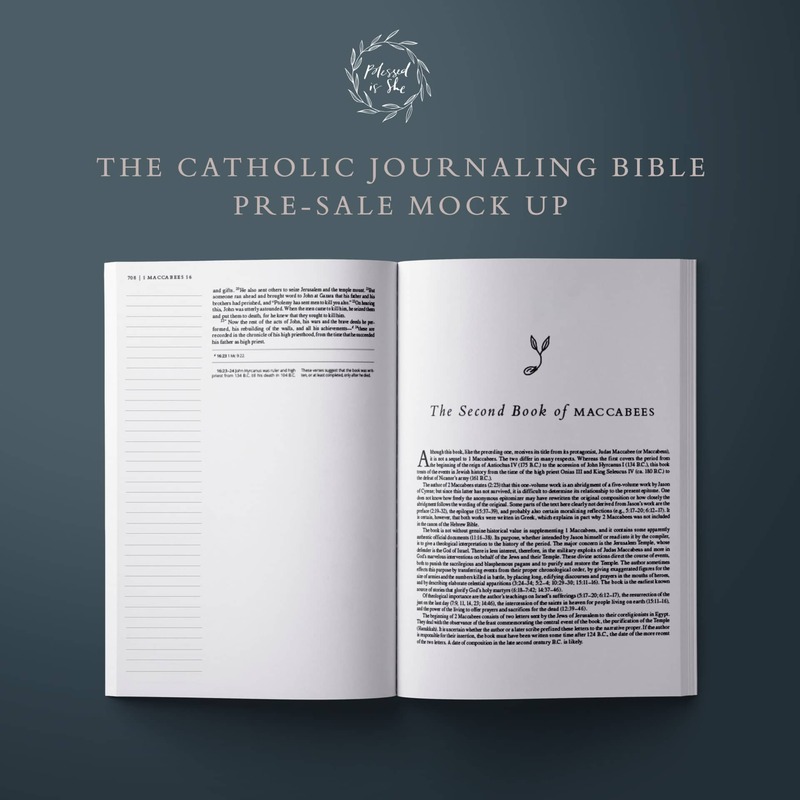 There are lots of Journaling Bible options on Amazon and the like, but this is the only Catholic Version with all the deuterocanonical books. What is the type size? Any chance you will have a version in Spanish? Are the pages thicker to prevent pen/marker bleeding through like they do in typical Bibles? Do you have a suggestion on the best pens to use with it? Any chance one will come out with the illustrations to color already printed in it? Journaling is new to me and I’m not very artistic. Can’t wait for this reply:) thanks for asking this question! What are the books missing from the Journal Bible ? None are missing at all <3 The NAB-RE translation has all of the deuterocanonical books. Can you mlebthis same bible in spanish please? Possiby!!! That would be amazing to partner with Our Sunday Visitor to make that happen! Thank you for making this bible! 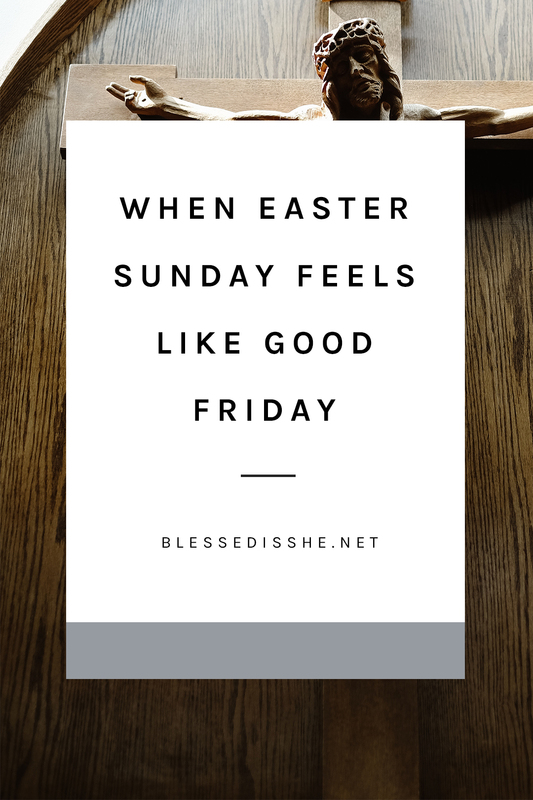 It has been such a blessing to me! I noticed my bible does not have the book of Sirach in it. Why? I realized Sirach and Ben Sira are the same! Thanks again for creating this bible!! Will this Bible be anytime soon made with a soft cover? So sorry, not at this time!